Griffit Vigo - DJ. Vinyl LP. Bleep. 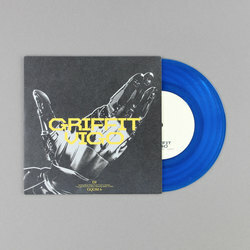 Soon to be hailed one of the finest moments on this insanely good label, Griffit Vigo drops a four tracker of the standardised high-velocity Gqom gear with his snappily titled debut EP 'DJ'. 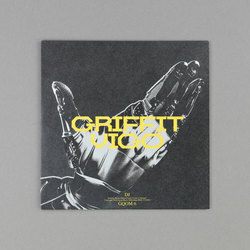 Following his inclusion on The Originators compilation and heralding the imminent arrival of entire albums worth of this stuff, Griffit Vigo shows the world why he is considered such an innovative trailblazer within the scene. Both the 'Video' and 'Original' versions of lead cut 'DJ' bounce off the groove with a high-end crunch that threatens to be crushed under the pummeling bassline. Gqom 6 warps things with some alien vibrations and flourishing synth bars. 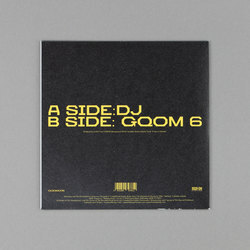 "As the Gqom sound has massively changed in the past year, taking over South Africa and the world, also by evolving into a more commercial-focused and melodic branch which derives from Sgubhu, Griffit Vigo’s intention is to keep the original Gqom sound as pure and authentic as it was when it was first birthed whilst still pushing the sound forward in the future."